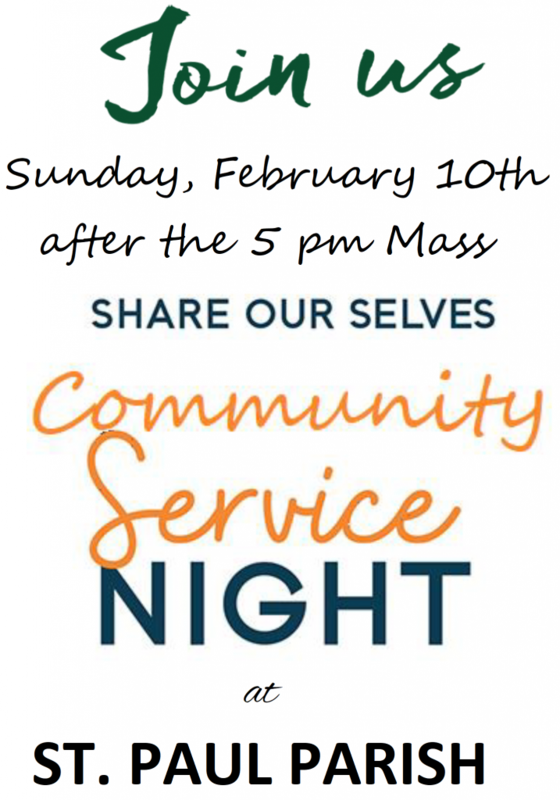 Join us for our Youth Ministry Service Night on Sunday, February 10 after the 5pm Mass at St. Paul. We will work on a project together while enjoying great food and each other’s company. All high school students are welcome! ← Saint John School: A Small School with Big Opportunities!